Prof. Clement C.Y. Tham is the Chairman of the Department of Ophthalmology and Visual Sciences at The Chinese University of Hong Kong (CUHK), S.H. Ho Professor of Ophthalmology and Visual Sciences at CUHK, and Honorary Chief-of-Service of Hong Kong Eye Hospital. Prof. Tham is the Director of The CUHK Eye Centre (CUHKEC), and Deputy Director of Joint Shantou International Eye Center (JSIEC – a joint clinical, teaching, and research eye hospital of The CUHK and Shantou University). Prof. Tham is the Vice President (Professional Affairs), and Fellowship Examiner, of the College of Ophthalmologists of Hong Kong. Internationally, Prof. Tham is the Secretary General and CEO of the Asia-Pacific Academy of Ophthalmology, which is the largest supranational ophthalmic organization, comprising 33 national ophthalmic member societies and regional subspecialty member societies, in the Asia-Pacific region. Membership of APAO member societies totals over 83,000 ophthalmologists, which is around 40% of the total number of ophthalmologists in the world. Prof. Tham is the Chair of the APAO Congress Committee, organizing every annual APAO Congresses from 2009 to now. He is Chair of the Scientific Program Committees of the 27th APAO Congress 2012 in Busan, Korea, and the 28th APAO Congress 2013 in Hyderabad, India. Prof. Tham is the Congress President of the 33rd APAO Congress 2018 in Hong Kong. Prof. Tham is a Founding Fellow and Council Member of The Academy of Asia-Pacific Professors of Ophthalmology (AAPPO). Prof. Tham is the Treasurer, one of the four Officers, and a member of the Board of Directors, of the International Council of Ophthalmology. The ICO is the largest ophthalmic professional organization in the world, with more than 170 national, regional, and subspecialty member societies from around the globe. He was a member of the Scientific Program Committee of every World Ophthalmology Congresses (WOC) since 2008, and was appointed the Chair of the Scientific Program Committees of WOC2016 Guadalajara in Mexico, and WOC2018 Barcelona in Spain. More than 2000 presenters from around the world participated in the scientific programs in each of these 2 WOCs. Prof. Tham was elected one of the 100 Chairs of the Academia Ophthalmologica Internationalis (AOI) in 2017. Prof. Tham has been the Vice President of the Asia-Pacific Glaucoma Society since 2014, and the Convener of the APGS Award Selection Committee since the very beginning of the APGS Awards back in 2011. He is the Chair of the Scientific Program Committee of the Inaugural Asia-Pacific Glaucoma Congress (APGC) 2012 organized by the APGS in Bali, Indonesia, and the Congress President and Chair of the Organizing Committee of the 2nd APGC 2014 in Hong Kong. Prof. Tham is a member of the Board of Governors of the World Glaucoma Association, and was Chair of the Organizing Committee for the World Glaucoma Congress 2015 (WGC 2015) in Hong Kong. Angle closure glaucoma remains the primary research interest of Prof. Tham and his team. His group was a key member of the international conglomerate that identified new genetic susceptibility loci for primary angle closure glaucoma (PACG), with 2 landmark publications in Nature Genetics (Journal impact factor: 31.616 in 2015; Journal Rank: 2/166 in Genetics & Heredity in 2015). The 3 multi-centred randomized controlled surgical trials on the outcomes of cataract and clear lens extraction in PACG, of which Prof. Tham was the Principal Investigator and Corresponding Author, indicated clearly a promising role for lens extraction as the first-line surgical treatment for PACG eyes. These publications laid the ground work for many subsequent international surgical trials on lens extraction in PACG. For his work on prevention of blindness, Prof. Tham was awarded the inaugural Nakajima Award by the APAO, and the Ten Outstanding Young Persons Award in Hong Kong, in 2005. 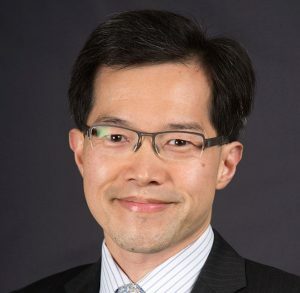 Prof. Tham received the APAO Outstanding Service in Prevention of Blindness Award in 2011, the APAO Distinguished Service Award in 2013, and the Senior Achievement Award from the American Academy of Ophthalmology (AAO) in 2016. At the 28th APAO Congress 2013 Hyderabad, Prof. Tham presented the Holmes Award Lecture, the highest award for prevention of blindness in the Asia-Pacific region. In 2015, Prof. Tham presented the APAO De Ocampo Award Lecture at the APAO 2015 Congress in Guangzhou, China, the highest award for excellent academic achievements in eye research. In the same year, Prof. Tham was invited to present the Honored International Lecture at the American Society of Cataract and Refractive Surgery (ASCRS) Glaucoma Day in San Diego, USA. Prof. Tham has also received numerous other awards in recognition of his contributions to research and teaching in ophthalmology. The primary academic interest of Prof. Tham lies in angle closure glaucoma, as well as the laser and surgical treatments of glaucoma. Prof. Tham’s earlier work established a role for argon laser peripheral iridoplasty in the treatment of acute primary angle closure and other forms of angle closure glaucoma. More recently, his randomized controlled trials provided insight into the roles of lens extraction and other glaucoma surgeries in both acute and chronic primary angle closure glaucoma eyes. Prof. Tham was a member of the research consortium that identified the first genetic mutation associated with primary angle closure glaucoma. Primary angle closure glaucoma (PACG) and normal tension glaucoma (NTG) – patterns and risk factors of disease progression. The roles of lens extraction, alone or in combination with laser and / or surgical glaucoma interventions, in glaucoma eyes. The clinical efficacy and safety of glaucoma interventions, including laser peripheral iridotomy and iridoplasty, trabeculectomy (penetrating, non-penetrating, carbon dioxide laser-assisted), goniosynechialysis (GSL), glaucoma implant surgery, laser cyclodestructive procedures (trans-scleral and endoscopic), and various combinations of the above. Molecular genetics, mechanisms, and epi-genetics of glaucoma. Diurnal intraocular pressure (IOP) profiles and the impact of different treatments on IOP fluctuations in glaucoma eyes. The anatomical effects of surgery on the anterior segment structures in glaucoma eyes. CUHK established argon laser peripheral iridoplasty (ALPI) as a more effective and safe first-line intervention for acute glaucoma (acute primary angle closure). Compared to conventional systemic IOP-lowering drugs that were used extensively in the past, ALPI reduces symptoms and IOP more rapidly, and avoids the side effects commonly associated with such drugs. ALPI may also reduce the need for long-term glaucoma medications. ALPI has since been widely adopted worldwide as the first-line treatment of acute glaucoma (acute primary angle closure). Our randomized controlled trial confirmed that early lens extraction was more effective than conventional laser peripheral iridotomy in preventing the progression to the chronic form of glaucoma (primary angle closure glaucoma) after an episode of acute glaucoma (acute primary angle closure). This finding revolutionizes the management of acute glaucoma eyes. The CUHK group has been invited to present instruction courses on the management of acute glaucoma in major international conferences regularly since 2002. Our randomized controlled clinical trials clearly documented the beneficial effects and safety profile of early cataract extraction in PACG, and thus establishing a role for cataract extraction as a first-line surgical approach in selected PACG eyes. CUHK has documented the clinical outcomes of cataract extraction, performed in isolation or in combination with other glaucoma surgery, in PACG eyes. Our group is widely regarded as one of the leading clinical research groups on the surgical management of PACG. One of our latest clinical trials evaluated the role of clear lens extraction in uncontrolled PACG eyes. Lens extraction reverses the anatomical predisposition to angle closure and improves IOP control in PACG eyes. Lens extraction may also be combined with other interventions to further improve clinical outcomes. CUHK is a key member of the research consortium that identified the first gene, ABCC5, associated with PACG. ABCC5 influences anterior chamber depth. A shallow anterior chamber depth is an important genetic predisposition to angle closure and PACG. Our group documented IOP fluctuations in PACG patients in their usual non-clinic environments using a self-monitoring electronic device to measure IOP with rebound tonometric technology, and also IOP fluctuations in PACG patients during their normal activities of daily living using a wireless contact lens tonometer. These techniques open up a whole new area of research to help us better understand the role of IOP fluctuations in disease progression, and may offer us new possibilities for better treatment approaches in future. Tham CC, Kwong YY, Baig N, Leung DY, Li FC, Lam DS. Phacoemulsification versus trabeculectomy in medically uncontrolled chronic angle-closure glaucoma without cataract. Ophthalmology 2013;120(1):62-7. Tham CC, Kwong YY, Leung DY, Lam SW, Li FC, Chiu TY, Chan JC, Lam DS, Lai JS. Phacoemulsification versus phaco-trabeculectomy in chronic angle-closure glaucoma with cataract: complications. Arch Ophthalmol. 2010;128(3):303-11. Featured in the Journal Highlights section of Eyenet in March 2010. Tham CC, Kwong YY, Leung DY, Lam SW, Li FC, Chiu TY, Chan JC, Lam DS, Lai JS. Phacoemulsification versus combined phaco-trabeculectomy in medically-uncontrolled chronic angle closure glaucoma with cataract. Ophthalmology. 2009;116(4):725-31, 731.e1-3. Nongpiur ME, Khor CC, Jia H, Cornes BK, Chen LJ, Qiao C, Nair KS, Cheng CY, Xu L, George R, Tan D, Abu-Amero K, Perera SA, Ozaki M, Mizoguchi T, Kurimoto Y, Low S, Tajudin LS, Ho CL, Tham CC, Soto I, Chew PT, Wong HT, Shantha B, Kuroda M, Osman EA, Tang G, Fan S, Meng H, Wang H, Feng B, Yong VH, Ting SM, Li Y, Wang YX, Li Z, Lavanya R, Wu RY, Zheng YF, Su DH, Loon SC, Yong VK, Allingham RR, Hauser MA, Soumittra N, Ramprasad VL, Waseem N, Yaakub A, Chia KS, Kumaramanickavel G, Wong TT, How AC, Chau TN, Simmons CP, Bei JX, Zeng YX, Bhattacharya SS, Zhang M, Tan DT, Teo YY, Al-Obeidan SA, Hon do N, Tai ES, Saw SM, Foster PJ, Vijaya L, Jonas JB, Wong TY, John SW, Pang CP, Vithana EN, Wang N, Aung T. ABCC5, a gene that influences the anterior chamber depth, is associated with primary angle closure glaucoma. PLoS Genet. 2014 Mar 6;10(3):e1004089. Vithana EN, Khor CC, Qiao C, Nongpiur ME, George R, Chen LJ, Do T, Abu-AmeroK, Huang CK, Low S, Tajudin LS, Perera SA, Cheng CY, Xu L, Jia H, Ho CL, Sim KS, Wu RY, Tham CC, Chew PT, Su DH, Oen FT, Sarangapani S, Soumittra N, Osman EA,Wong HT, Tang G, Fan S, Meng H, Huong DT, Wang H, Feng B, Baskaran M, Shantha B, Ramprasad VL, Kumaramanickavel G, Iyengar SK, How AC, Lee KY, Sivakumaran TA,Yong VH, Ting SM, Li Y, Wang YX, Tay WT, Sim X, Lavanya R, Cornes BK, Zheng YF, Wong TT, Loon SC, Yong VK, Waseem N, Yaakub A, Chia KS, Allingham RR, Hauser MA, Lam DS, Hibberd ML, Bhattacharya SS, Zhang M, Teo YY, Tan DT, Jonas JB, Tai ES, Saw SM, Hon do N, Al-Obeidan SA, Liu J, Chau TN, Simmons CP, Bei JX, Zeng YX, Foster PJ, Vijaya L, Wong TY, Pang CP, Wang N, Aung T. Genome-wide association analyses identify three new susceptibility loci for primary angle closure glaucoma. Nature Genetics. 2012;44(10):1142-6.